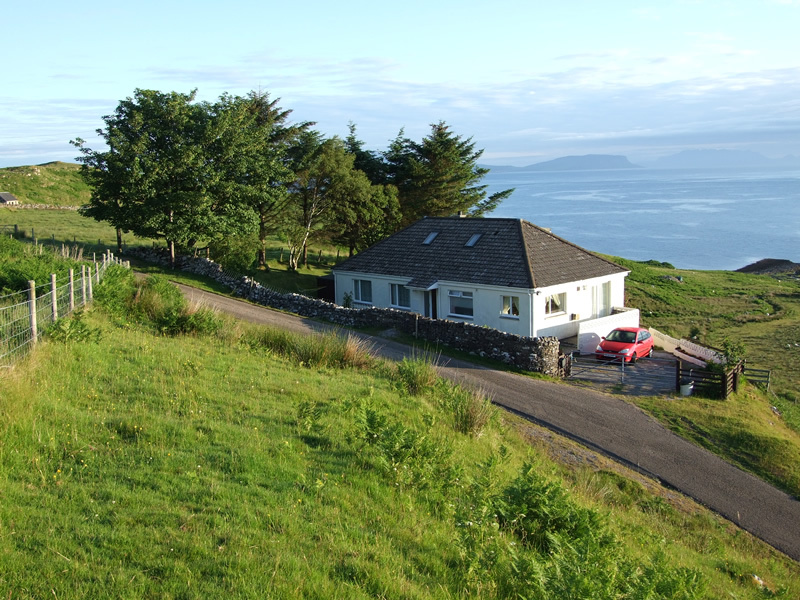 Self Catering Ardnamurchan - Air an Oir holiday accommodation in West Scotland:four bedrooms; sitting and dining room with views towards Rhum Eigg and Muck islands. 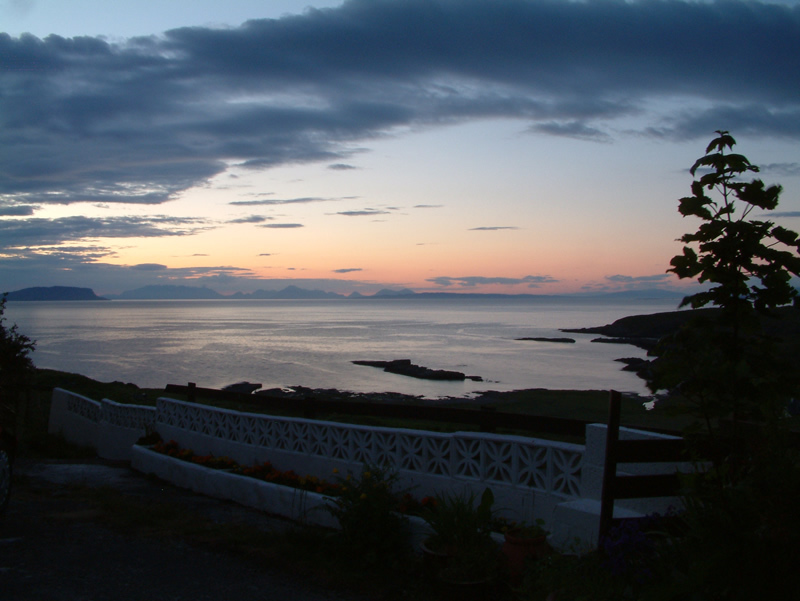 "Air an Oir" (meaning On The Edge) is situated on the North Shore of the Ardnamurchan Peninsula, Argyll in the West Highlands of Scotland - with outstanding views to the Islands of Skye, Rhum, Eigg and Muck, with Mallaig and Arisaig on the opposite mainland shore. Ideal location for 'getting away from it all'. 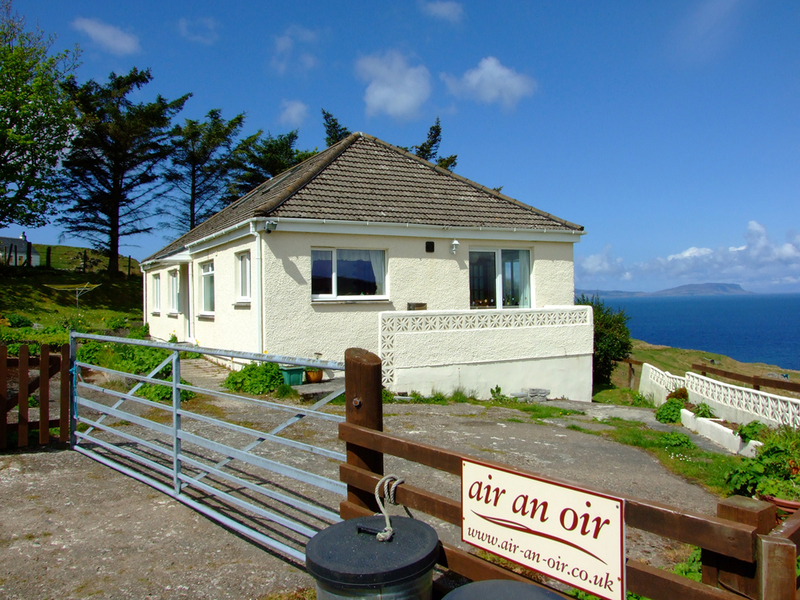 With the most westerly point on the British mainland, the Silver Sands of Sanna Bay, the majestical heights of Ben Hiant and the magical Island of Mull all within easy access - Air an Oir is a holiday maker's dream! 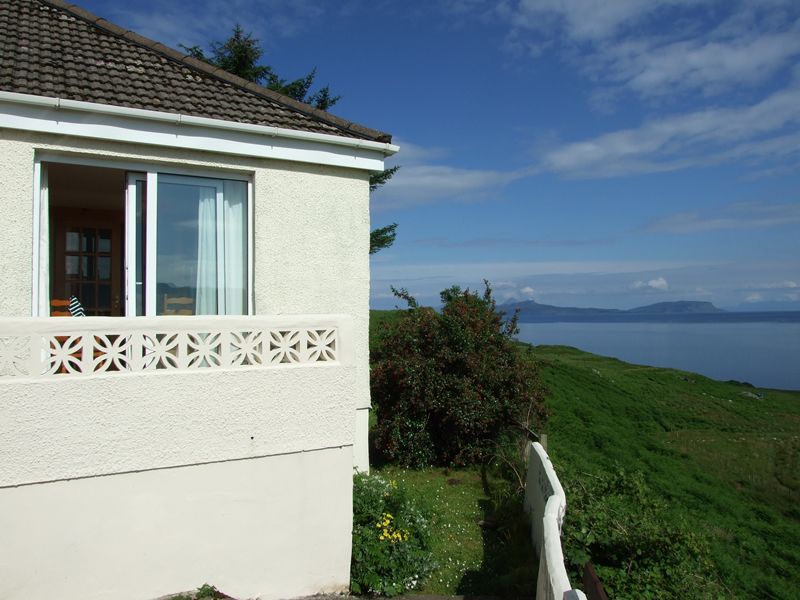 The accommodation is ideally suited for up to 4 adults, and we do offer discounts if only two adults are staying, or if you are staying for two weeks. Unfortunately - no pets allowed due to the surrounding farmland. 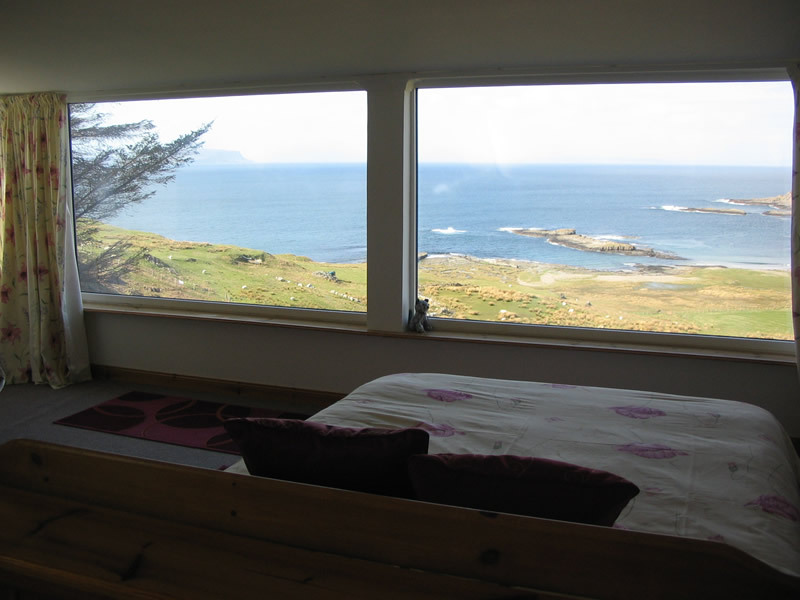 The sitting room has an open fire and wonderful views. The warm sunny kitchen has everything you require for self catering and the dining room has patio doors which lead to an outside sitting area and the garden. 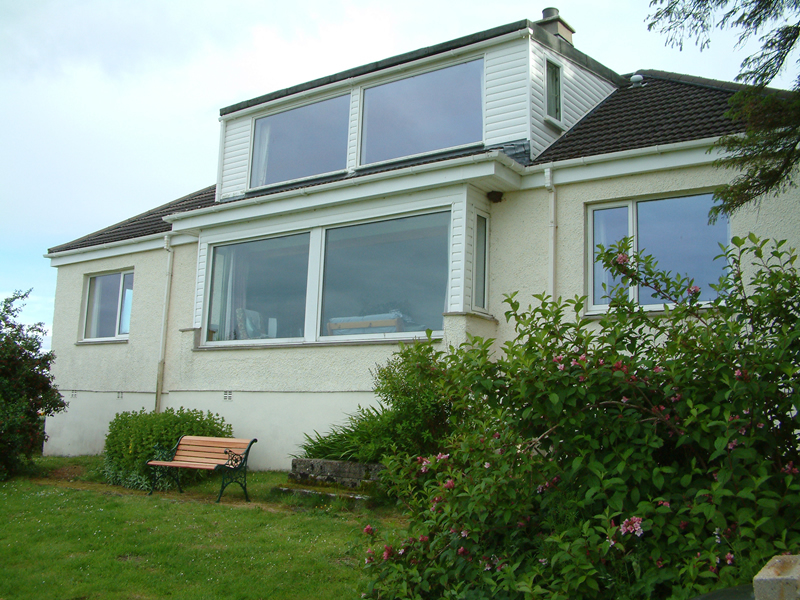 The house is double glazed with oil fired central heating throughout complimented by an open fire in the sitting room. Electricity, heating, logs for the open fire and linen is included in the cost per week and the beds are made up for your arrival. 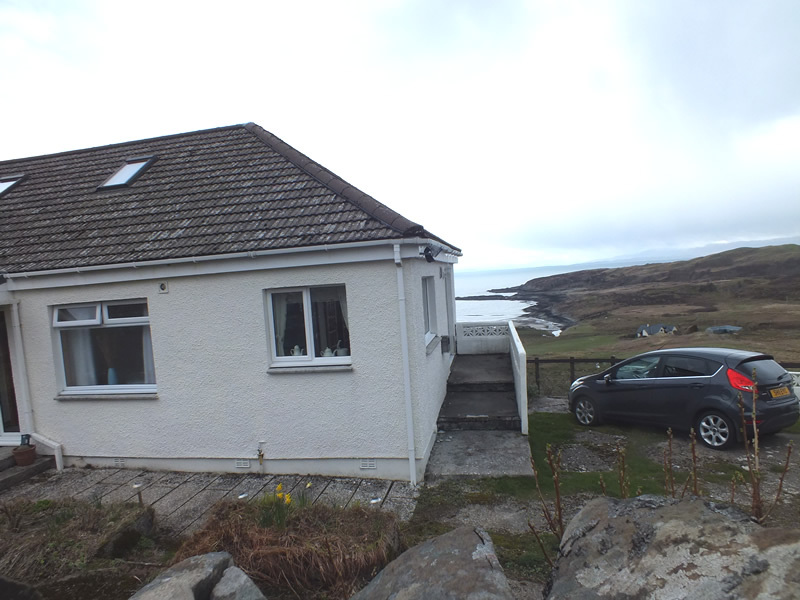 Prices from £500 - £700 per week. Discounts available if only two adults staying or if booking two weeks together.